Seth Moulton, Democratic candidate for US Congress. Moulton, who is facing off against Republican Richard Tisei in the Sixth Congressional District race, has been so close-mouthed about the medals that in his campaign, only his campaign manager – a former Marine – knew of the awards before the Globe asked for the citations on Wednesday. Even his parents did not know, and were told just this week, according to Scott Ferson, a campaign spokesman. More typically, political candidates are more than happy to call attention to their valorous awards. In other cases, political careers have ended abruptly for candidates caught embellishing or fabricating aspects of their military service. In Massachusetts, for instance, Republican state Representative Royall H. Switzler’s 1986 campaign for governor collapsed amid disclosures that he was not an Army Special Forces captain in Vietnam, as he had claimed, but an enlisted man who served in Korea. Four years earlier, Republican gubernatorial candidate John R. Lakian lost his party’s primary after the Globe discovered a number of exaggerations on his resume, including a false claim that he won a battlefield promotion in Vietnam. More recently, Connecticut Attorney General Richard Blumenthal, a Democrat, was elected to the US Senate in 2010, even after The New York Times reported that he had falsely intimated during a speech that he had served as a Marine in Vietnam. In 1982, former US Representative Bruce F. Caputo abandoned his candidacy for the US Senate in New York after his claim to have served as an Army lieutenant during the Vietnam War proved to be false. Citations aside, Moulton’s campaign was propelled from the start by his compelling personal story: the Harvard graduate who became a Marine officer after 9/11; who spent two years in Iraq commanding an infantry platoon even though he, and many of his men, opposed that war; and who later earned graduate degrees in business and government from Harvard. His unusual resume played no small role in his surprising primary victory last month over longtime US Representative John F. Tierney. But that resume omitted valorous actions that might have added to his margin of victory. 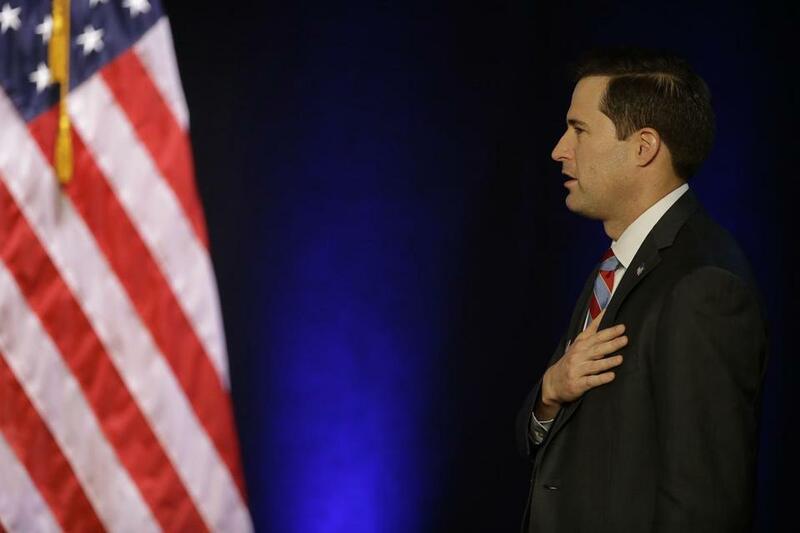 Clarification: A story in Saturday’s Metro section on Seth Moulton’s military honors should have stated that many, not all, of the men who served under him in his platoon opposed the war in Iraq. Stephanie Ebbert of the Globe Staff contributed to this report. Walter Robinson’s email is walter.robinson@globe.com.